Upload your products to Google Shopping and get thousands of new, highly qualified visitors on your online shop. 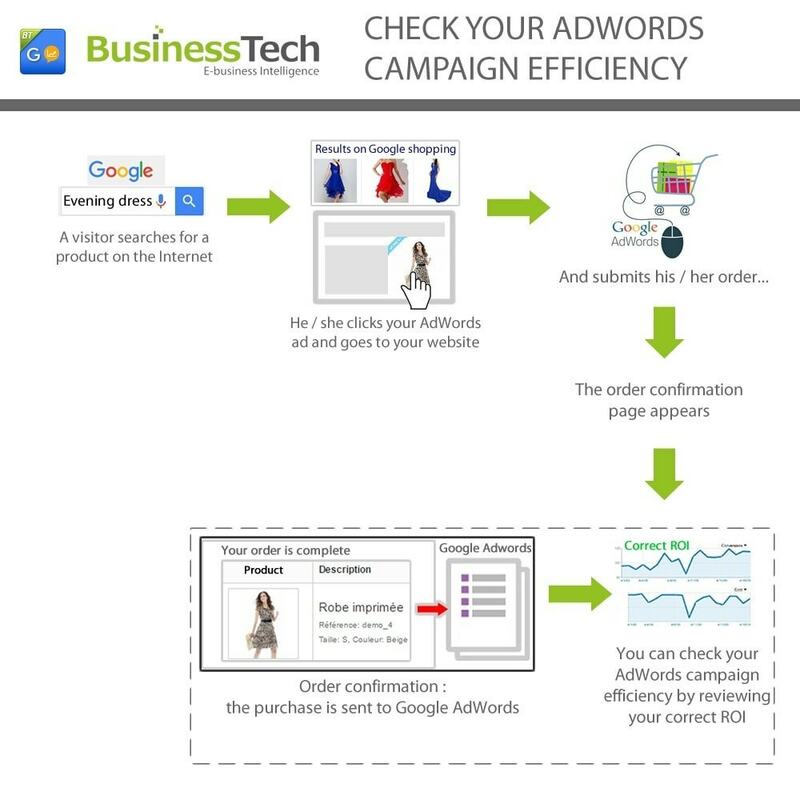 The performance of Google AdWords Shopping campaigns and your presence in the "Shopping" results of Google's search engine largely depends on the quality of your Google Merchant Center feed and completeness of your data. The more information accurate you include, the better the results ! This very complete module will let you achieve just that and maximize your chances of obtaining good rankings on Google Shopping, while minimizing the time you will need to spend to have all your products accepted by Google. 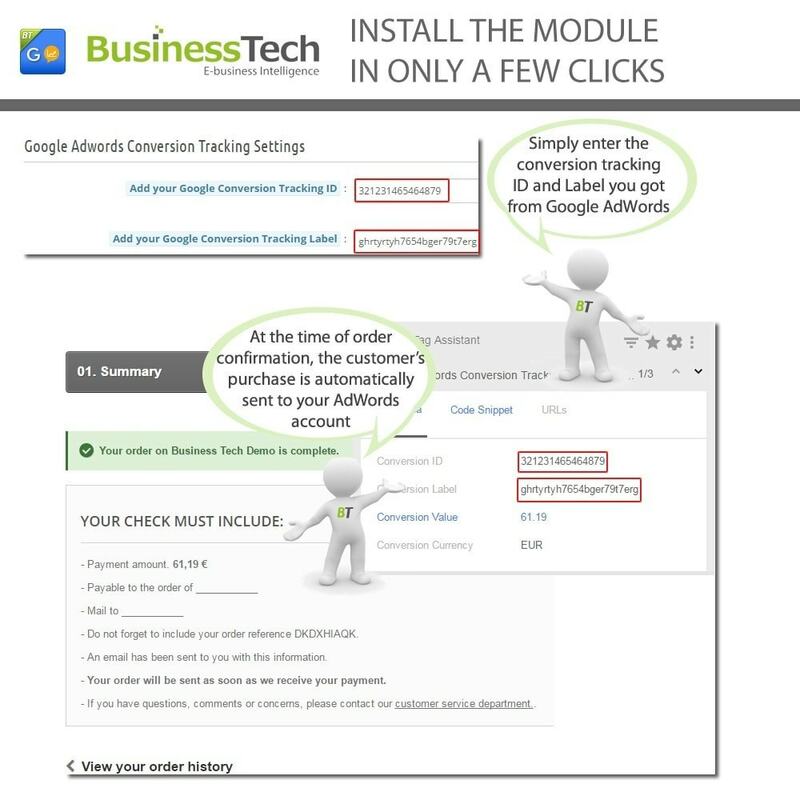 About your products export, the power of the module allows you to only focus on the configuration of a single product feed (a primary feed) and not to waste time with the configuration of "supplemental feeds" and numerous "rules" provided by Google. You modify your product information directly in the module and you have the possibility to automate the update of all your data in Google Shopping, daily. With more than 6000 copies sold, 510+ reviews and an average 4.7/5 rating, our Google Merchant Center (Google Shopping) module is hands down the most robust, accurate, powerful and complete module for Google Shopping. We also have extensive knowledge and experience on the ins and outs of Google's rather complex requirements, and our tech support team will gladly help answer your questions to the best of their ability ! A world premiere : Integrated product data diagnostic and optimization tool linked to an online FAQ. The module takes you by the hand and walks with you all the way, to help you submit the best possible quality feed to Google and get rid of any warnings about your data. Very nice product, good and fast support. Very good documentation. Module works great and is very valuable in easily providing a product feed to Google so that you can run Product Listing Ads. The custom tags feature is a nice addition but it would be a lot more valuable to be capable of applying down to the individual product level. It only goes as far as category level at this point. You will surely attract new customers : between a text ad or a visual ad available through Google Shopping, users will be more inclined to click on visual advertising ! 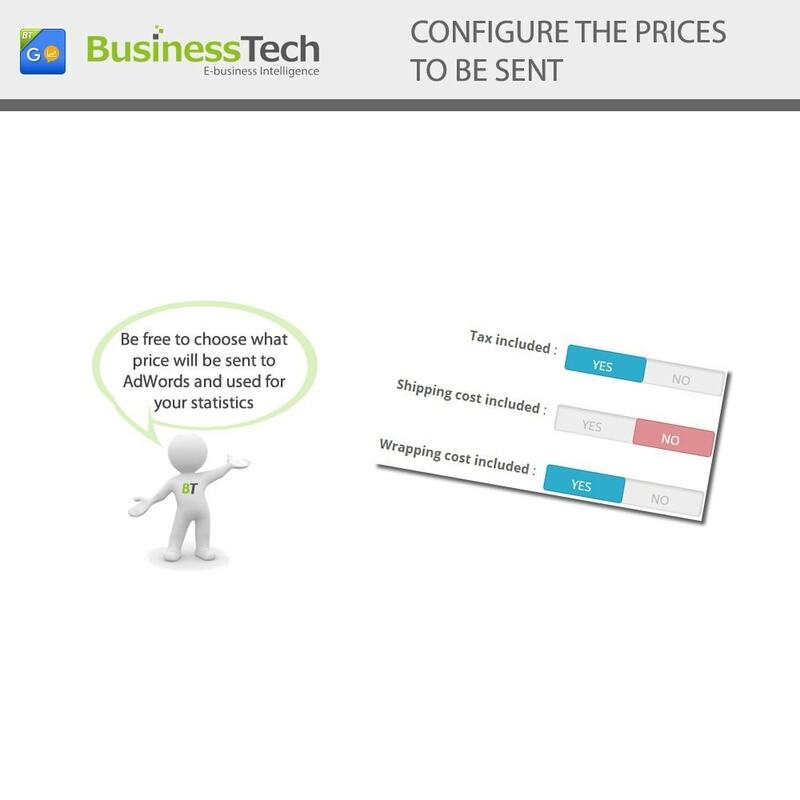 Your current customers will also surely like this visual effect, and they will find your products easier ! 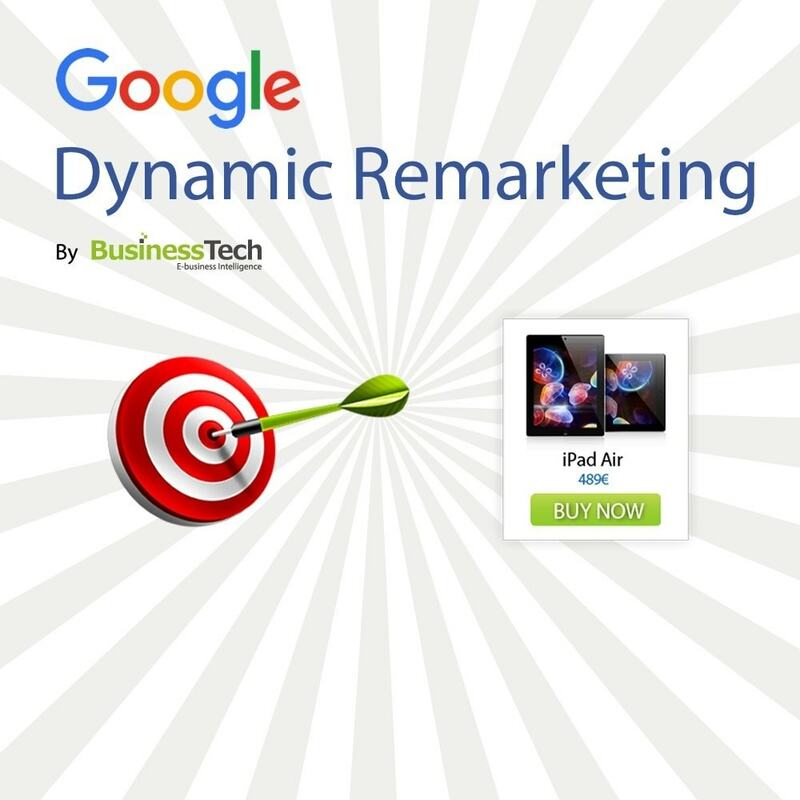 You will substantially increase your conversion rate and sales on your PrestaShop website by setting up Dynamic Remarketing advertising campaigns on Google AdWords. By using this module in conjunction with our "Google Merchant Center (Google Shopping)" module, you will get the best possible results on the PrestaShop e-commerce platform. 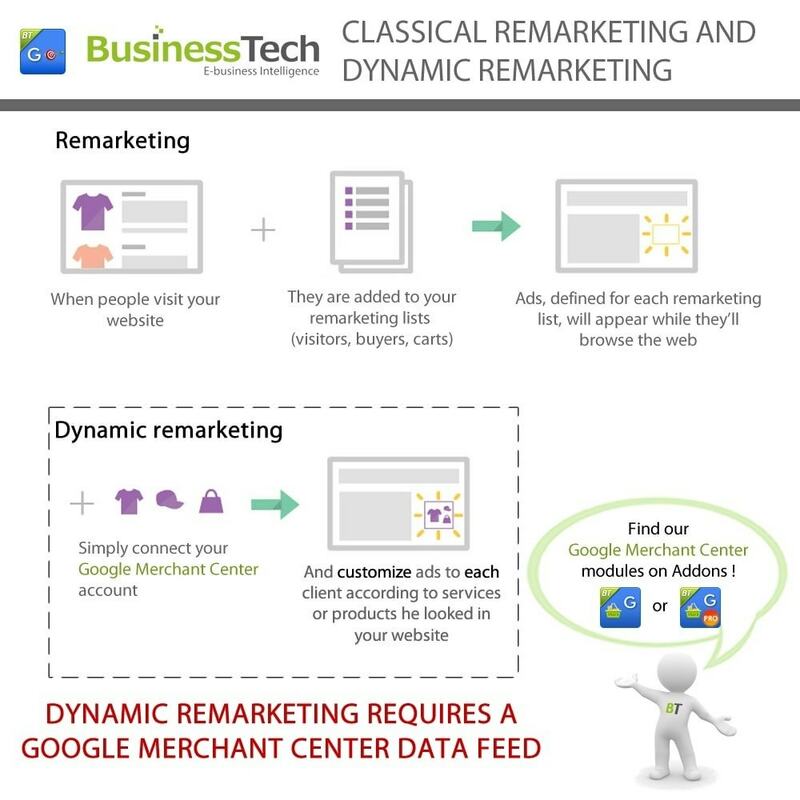 Brought to you by BusinessTech, makers of the "Google Merchant Center (Google Shopping)" module (available separately on https://addons.prestashop.com/en/price-comparison/1768-google-merchant-center-google-shopping.html), "Google Dynamic Remarketing" allows you to implement one of Google's most powerful and sophisticated advertising tools: Remarketing and Dynamic Remarketing AdWords campaigns. 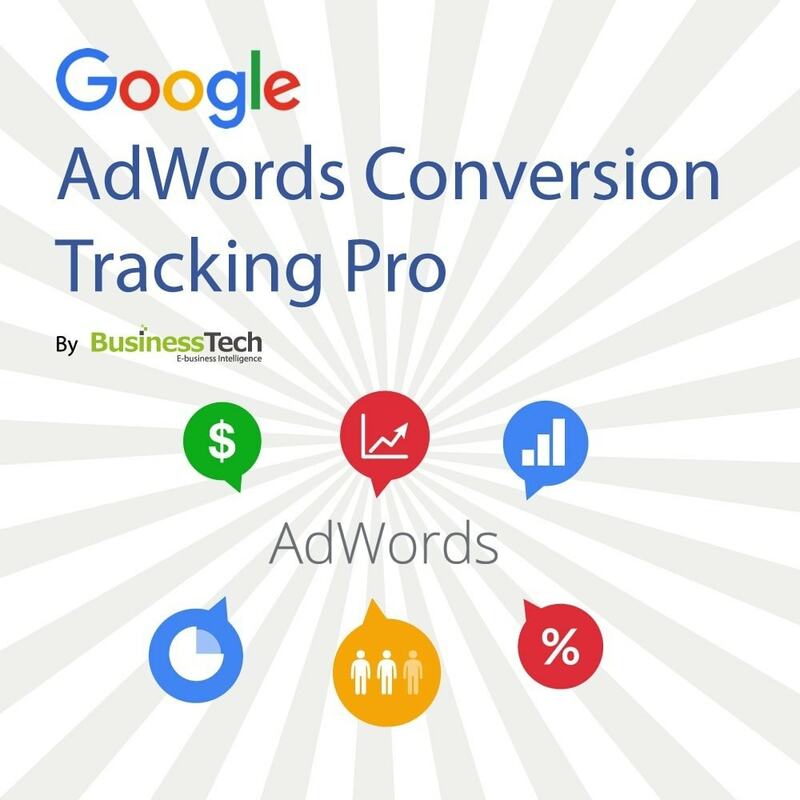 Visitors who have previously visited your shop and viewed some products will later be automatically presented with banner ads on Google's content network (millions of websites including YouTube, forums, blogs, news websites etc...). 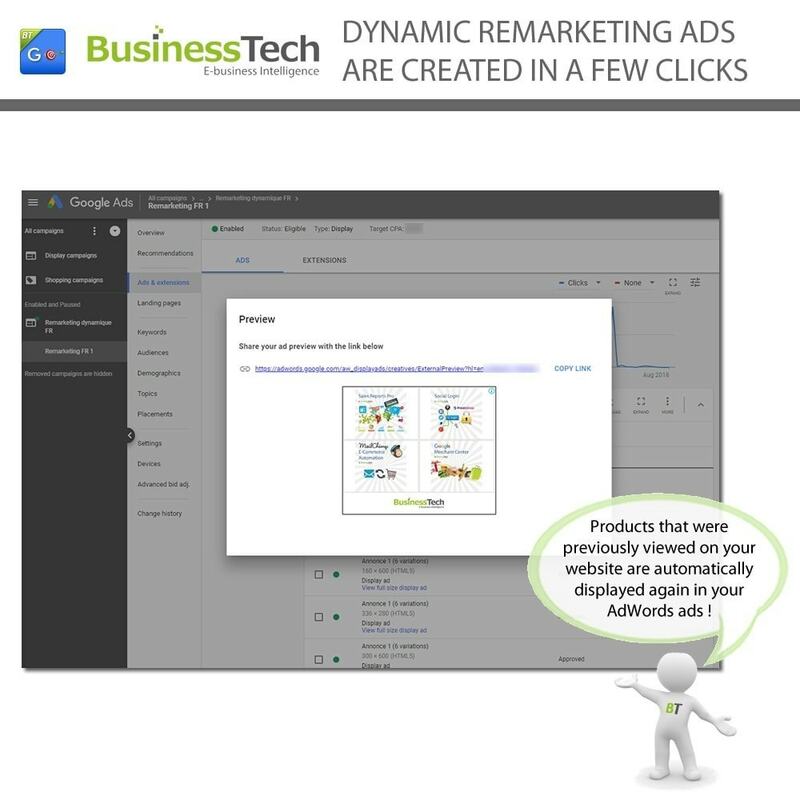 You can target specific ads to people of have viewed specific products or pages on your site. 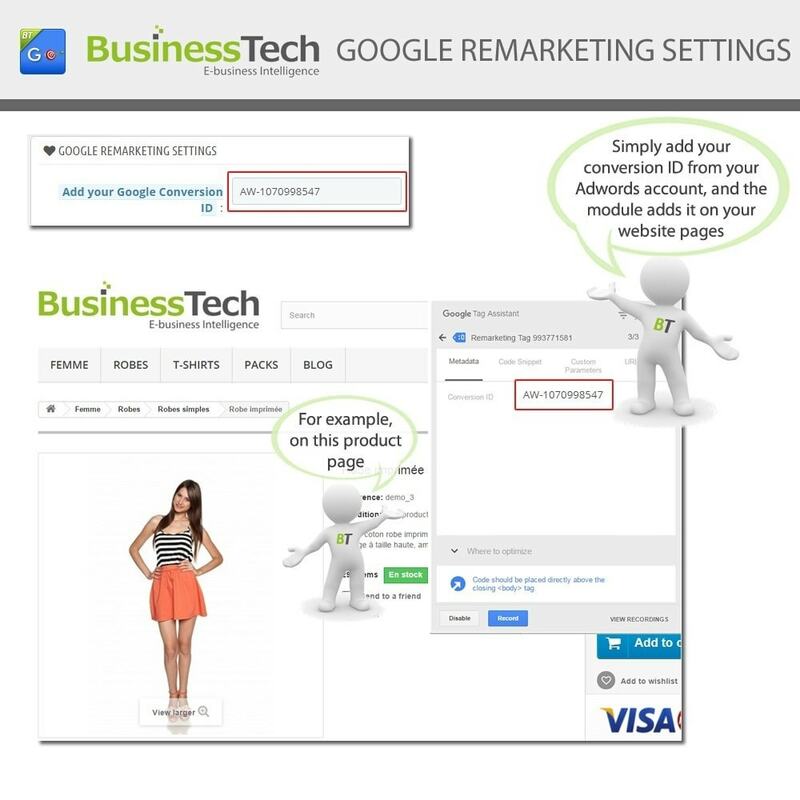 Better yet: by using this module in conjunction with our Google Merchant Center module and activating Dynamic Remarketing, you can have Google automatically create really slick ads for you that will automatically include your products with their photo, name and price. So someone who visited a product page on your website for, say, an iPad Air, can be presented with a dynamic ad displaying exactly this product. It doesn't get any better than this! Tools previously accessible only to very large merchants via specialized services such as Criteo are now accessible to all merchants, thanks to Google. 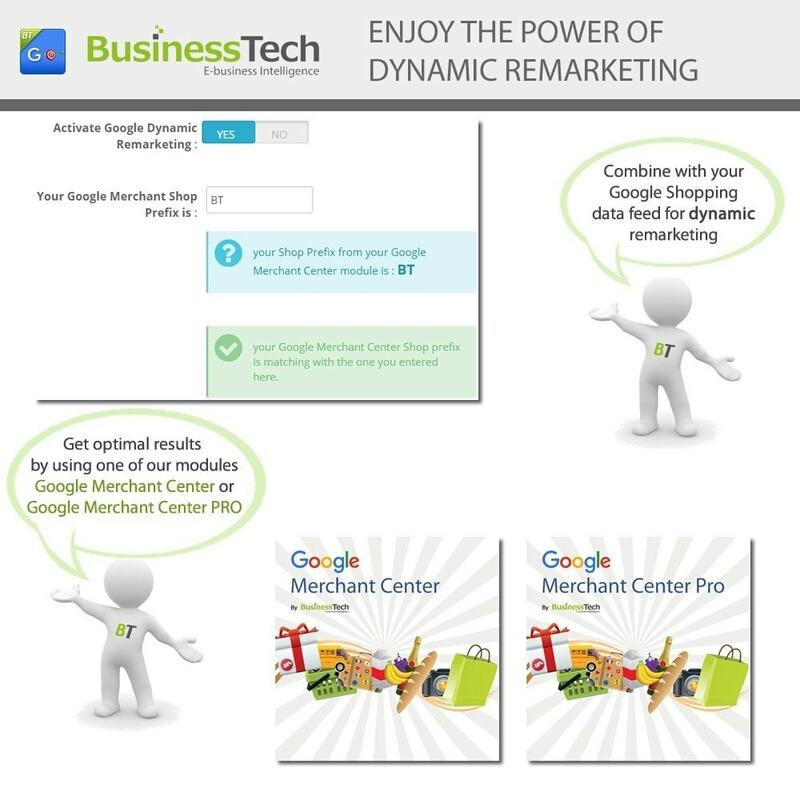 Of course, this module integrates perfectly with our "Google Merchant Center (Google Shopping)" module (available separately on https://addons.prestashop.com/en/price-comparison/1768-google-merchant-center-google-shopping.html) to help you easily set up Dynamic Remarketing campaigns that will improve your shop's conversion rate and sales by showing your visitors dynamic, product based ads, when they are visiting third-party content websites after viewing specific products on your shop. Reply to me with an incredible speed. Take good care of my problem! Great product and service. Recommended! Easy setup and a very good customer support ! 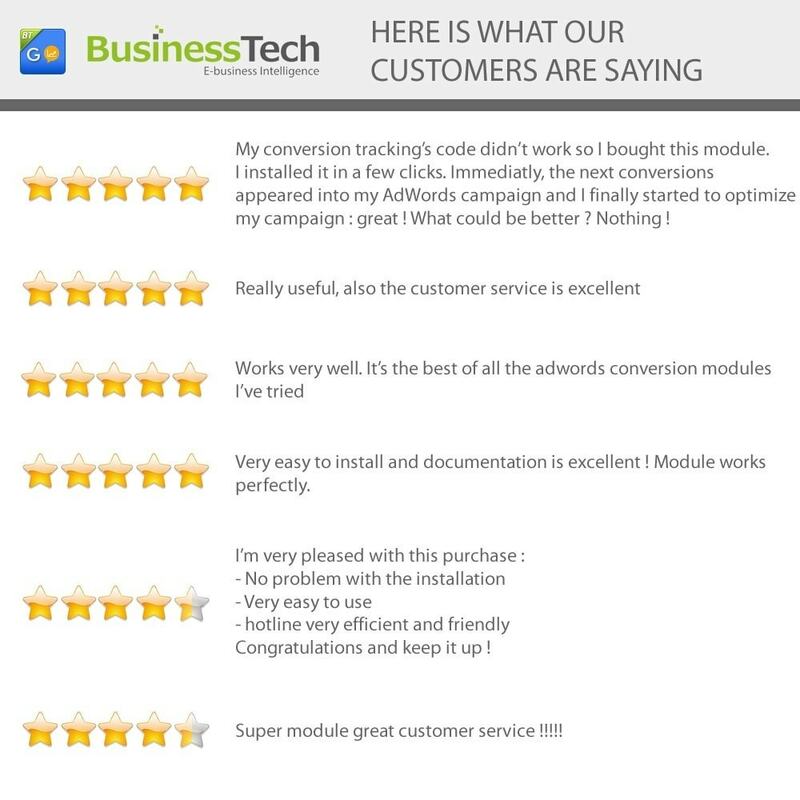 Great module, and thanks to the company that offers a fast and efficient support!